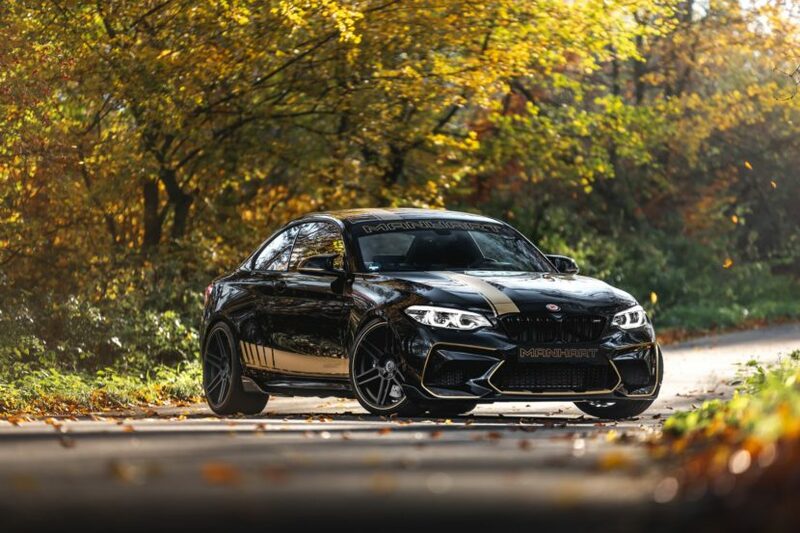 The guys from Manhart Performance are no strangers to the BMW M2. They tuned the original far beyond what most people though possible, offering it 420 HP and even more in a different configuration, involving some M4 transplants. This time round the tuner decided to turn its attention to the new version, the BMW M2 Competition. Since the engine was swapped out, the tuning potential went considerably further up. 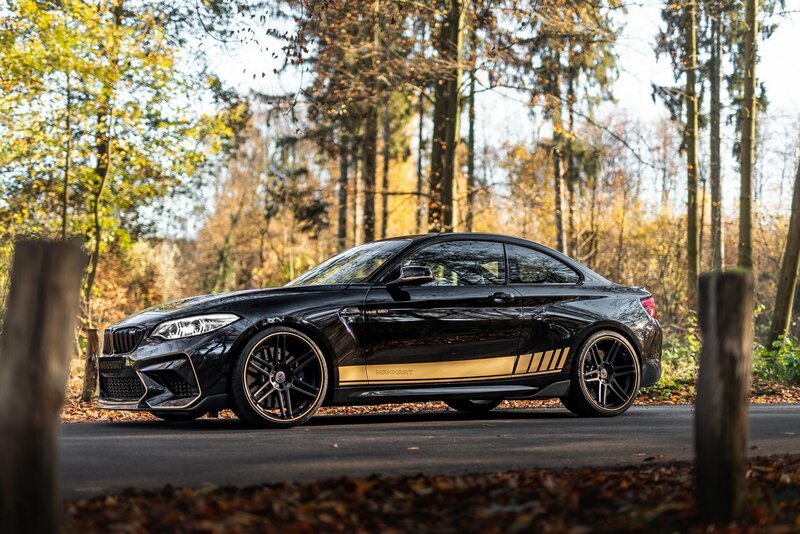 The M2 Competition basically uses the same S55 engine as the BMW M3 and M4 models with a couple of small changes done in the ECU software to deliver a bit less power. Manhart decided to remove that software barrier and take things up from the standard 410 HP to 550 HP while the torque output went further up, from 550 Nm (406 lb-ft) to 800 Nm (590 lb-ft). That’s mighty impressive for a 3-liter straight six mill. The upgraded M2 can now reach 100 km/h (62 mph) from standstill in a claimed 4 seconds flat. 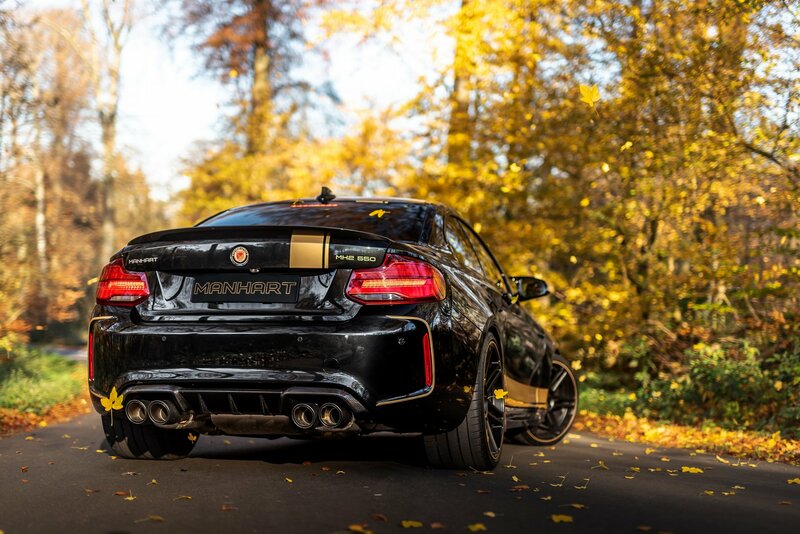 The car also got a new exhaust system, along with Manhart stainless steel muffler and stainless steel downpipes to transform the sound of the M2 competition into a louder a raspier note. Four carbon exhaust tips let you know that this is no ordinary car as does the M-Performance carbon exterior package. This includes a full carbon front spoiler, side wings, rear spoiler and a rear diffuser. To keep things better in check at higher speeds, the MH2 550 sits 20mm lower compared to the standard car due to a set of KW coilover springs. Rounded up by 20″ Concave One aluminum wheels the MH2 550 looks wider, lower and more aggressive than the standard car.